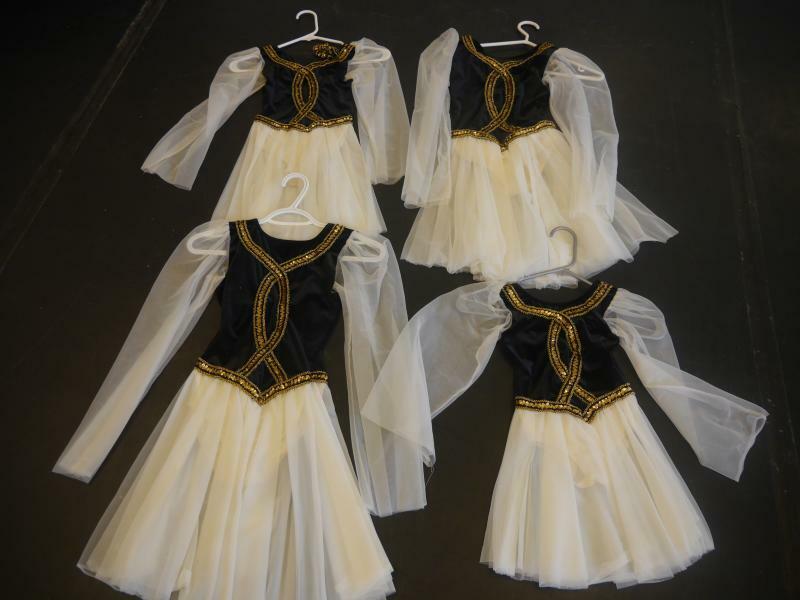 dance.net - White, Black and Gold Choreography Dresses (10244916) - Read article: Ballet, Jazz, Modern, Hip Hop, Tap, Irish, Disco, Twirling, Cheer: Photos, Chat, Games, Jobs, Events! 9 of these are available. White body suit, black velvet upper and white chiffon skirt and sleeves. Gold sequin design. Size ranges youth to young adult. Cleaning up studio. Make an offer. Located in Ontario.